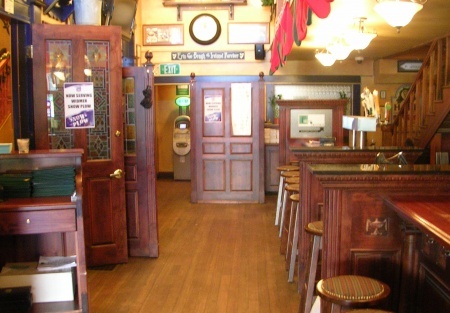 Selling Restaurants presents this Traditional Irish Pub, Restaurant and Banqueting opportunity in a beautiful re-creation of a genuine Irish Pub. This pub use to do sales in excess of $1 million. But because of changes the owners made, including banning live music and very limited advertising the business had faltered. But a new owner can turn it around by re-introducing the music and by doing some grass roots marketing. The business has been open for 5 years and has plenty of goodwill in the town, it just needs fresh owners. Full of original artifacts from the Emerald Isle. You feel like you've just stepped back in time within the narrow lanes of Dublin, Ireland. This kind of themed Pub in such a sparkling condition is a rare opportunity. Hours are presently limited by choice and business has suffered accordingly, therefore there is a huge potential for business growth to buyers willing to open daily. Just about an hour north of San Francisco, in the wine country, this main street Pub features 2 (Type 47) fully licensed Bars with seating for 70 in the private Banqueting room on the 2nd floor. The main Bar and Restaurant is on the 1st floor with split level seating on the Balcony 2nd floor with seating for an additional 70. 3000 sq ft at $1.45 per sq ft for a remaining four year Lease. This is a Turn Key opportunity. Landlord has agreed to extend the terms of the lease with an additional 2 x 5 year options for the right buyer. This is a REAL "IRISH PUB AND RESTAURANT." TAKE THE NEXT STEP. Select the bright orange button below title "want name and address." Register if you're a new client and sign the online "Confidential Agreement." Then contact the Agent directly via email, submitting your experienced Resume and financial ability to purchase. This will also place you on our exclusive Buyer's e-mail list, giving you first look at our new listings. This is a Paramount Restaurant Brokers, Inc. DBA SellingRestaurants.com listing.